Publisher's Description: Before Josh and Jordan Bell were streaking up and down the court, their father was learning his own moves. 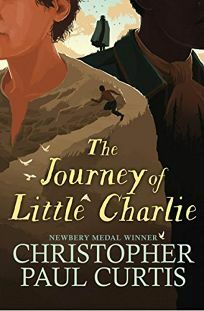 In this prequel to Newbery Medal winner The Crossover, Chuck Bell takes center stage, as readers get a glimpse of his childhood and how he became the jazz music worshiping, basketball star his sons look up to. Publisher's Description: Seventh grader Jordan Banks loves nothing more than drawing cartoons about his life. But instead of sending him to the art school of his dreams, his parents enroll him in a prestigious private school known for its academics, where Jordan is one of the few kids of color in his entire grade.As he makes the daily trip from his Washington Heights apartment to the upscale Riverdale Academy Day School, Jordan soon finds himself torn between two worlds--and not really fitting into either one. Can Jordan learn to navigate his new school culture while keeping his neighborhood friends and staying true to himself? Publisher's Description:Nora Tucker is looking forward to summer vacation in Wolf Creek--two months of swimming, popsicles, and brushing up on her journalism skills for the school paper. But when two inmates break out of the town’s maximum security prison, everything changes. Doors are locked, helicopters fly over the woods, and police patrol the school grounds. Worst of all, everyone is on edge, and fear brings out the worst in some people Nora has known her whole life. Even if the inmates are caught, she worries that home might never feel the same. Publisher's Description: Carter Jones is astonished early one morning when he finds a real English butler, bowler hat and all, on the doorstep--one who stays to help the Jones family, which is a little bit broken. Publisher's Description: It's 1947, and India, newly independent of British rule, has been separated into two countries: Pakistan and India. The divide has created much tension between Hindus and Muslims, and hundreds of thousands are killed crossing borders. Publisher's Description: Deep within the enchanted woods in the town of Watch Hollow stands the once-grand Blackford House, whose halls hold a magical secret: a giant cuckoo clock that does much more than tell time. But when the clock's gears cease to turn, an evil presence lurking among the trees begins to come out of the shadows.When Lucy and Oliver Tinker arrive in Watch Hollow, they have no idea that anything is wrong. A mysterious stranger has made their father an offer that's too good for him to refuse. All Mr. Tinker needs to do is fix the clock at Blackford House and fistfuls of gold coins are his to keep. It doesn't take long, however, for the children to realize that there is more to Blackford House than meets the eye. And before they can entirely understand the strange world they've stumbled into, Lucy and Oliver must join forces with a host of magical clock animals to defeat the Garr--a vicious monster that not only wants Blackford House for itself, but also seeks to destroy everything the Tinkers hold dear. Publisher's Description: Twelve-year-old Charlie is down on his luck: His sharecropper father just died and Cap'n Buck -- the most fearsome man in Possum Moan, South Carolina -- has come to collect a debt. Fearing for his life, Charlie strikes a deal with Cap'n Buck and agrees to track down some folks accused of stealing from the cap'n and his boss. It's not too bad of a bargain for Charlie... until he comes face-to-face with the fugitives and discovers their true identities. Torn between his guilty conscience and his survival instinct, Charlie needs to figure out his next move -- and soon. It's only a matter of time before Cap'n Buck catches on. Publisher's Description: Jorge seems to have it all together. He's big enough that nobody really messes with him, but he's also a genuinely sweet guy with a solid, reliable group of friends. The only time he ever really feels off his game is when he crosses paths with a certain girl... But when the group dynamic among the boys starts to shift, will Jorge be able to balance what his friends expect of him versus what he actually wants? Publisher's Description: Chaya Lindner is a teenager living in Nazi-occupied Poland. Simply being Jewish places her in danger of being killed or sent to the camps. After her little sister is taken away, her younger brother disappears, and her parents all but give up hope, Chaya is determined to make a difference. Using forged papers and her fair features, Chaya becomes a courier and travels between the Jewish ghettos of Poland, smuggling food, papers, and even people. Publisher's Description: When Theo's photography project is mysteriously vandalized at school there are five suspected students who all say "it wasn't me."